← iPhone 5c: C Stands for? The iPhone 5 had been discontinued after the iPhone 5s and iPhone 5c’s release. Should you upgrade to either of the two new models or is the old one worth keeping? This comparison chart below will help you decide. Don’t even fret about upgrading your OS to iOS7. A number of problems include battery draining upgrade process, unattractive theme, hoarse voiced Siri, among others. Notably, only the iPhone 5s is equipped with new features such as the fingerprint touch ID scanning technology and a dedicated fitness tracker native to the device. This variant also stands out due to its A7 CPU, storage capacity, and camera features. The iPhone 5c is also notable due to its colourful cases although it’s relatively heavier, taller, and thicker than the other two iPhones on the table above. It’s also the cheapest iPhone ever with contract prices starting at $99 USD (for the 16GB). The table above are but the tip of the iceberg but comparing major features and specifications will definitely help you choose whether you stick with your old iPhone 5 or switch to either the stand out iPhone 5s or the cheaper iPhone 5c. 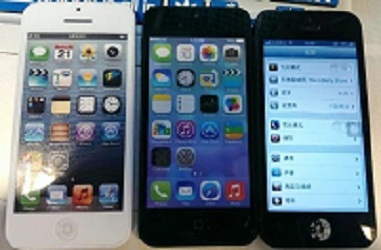 This entry was posted in Articles, iPhone and tagged comparison table, iphone 5, iphone 5c, iphone 5s. Bookmark the permalink.